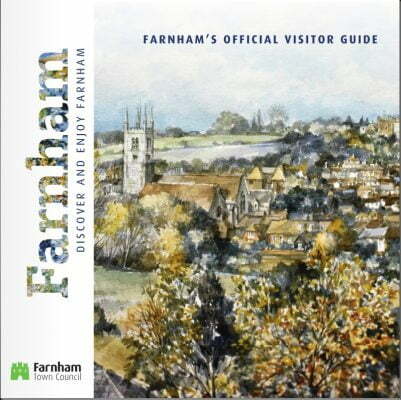 Free guide to Farnham, the town centre and surrounding villages. Plan your visit to Farnham with our guide to our historic market town with its beautiful surrounding countryside and villages. Whet your appetite with ideas for family days out, pick an event to enjoy or a simply be inspired to explore the walks and trails. Farnham Visitor Guide is packed with ideas, inspiration and information on things to do in Farnham, areas to explore, tales of history and heritage plus local film locations and pretty local villages to visit. View the Visitor Guide brochure online or pick up your own copy from Farnham Town Council Offices on South Street or one of the information points around town.